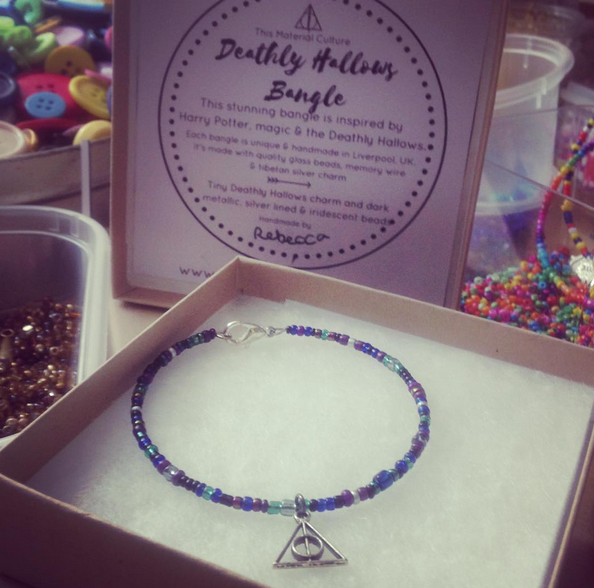 The gorgeous deathly hallows bangle is inspired by the Harry Potter books and films, featuring a silver deathly hallows symbol charm. 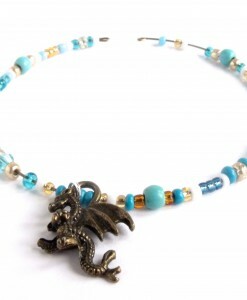 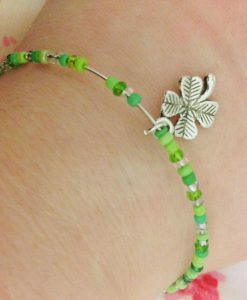 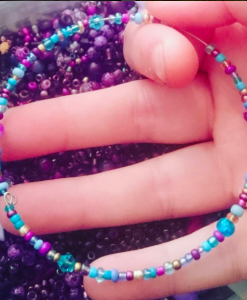 The seed beads are in dark, magical colours, like silver, dark blue, iridescent purple and deep silvery green. 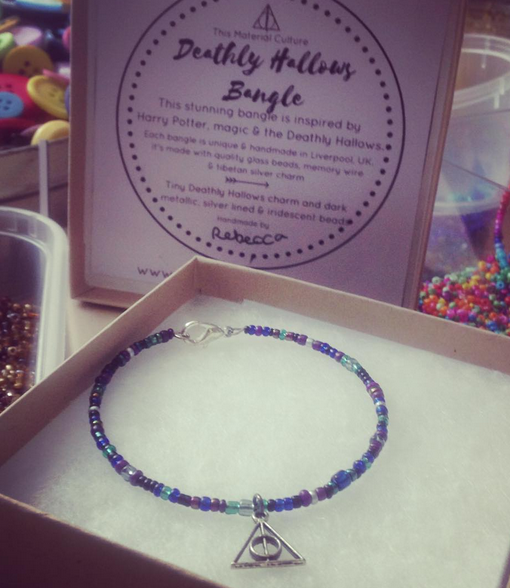 Inspired by Harry Potter, Hogwarts and the deathly hallows story – any Harry Potter fan will love our deathly hallows bangle. 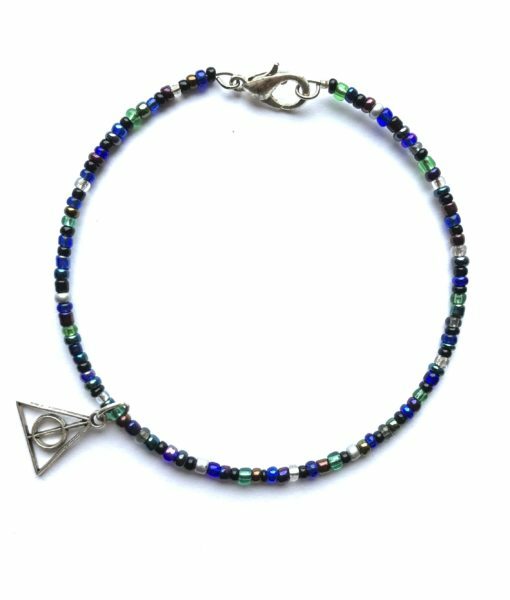 This Harry Potter bangle is handmade with tiny seed beads and a silver deathly hallows charm. 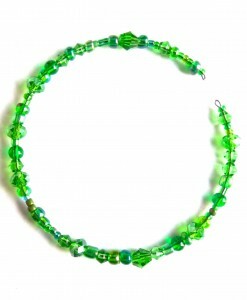 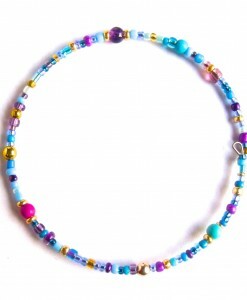 The seed beads are in dark, magical colours – like silver, dark blue, iridescent purple and deep silvery green. This handmade bangle is dainty and delicate with a gorgeous little deathly hallows symbol charm too. 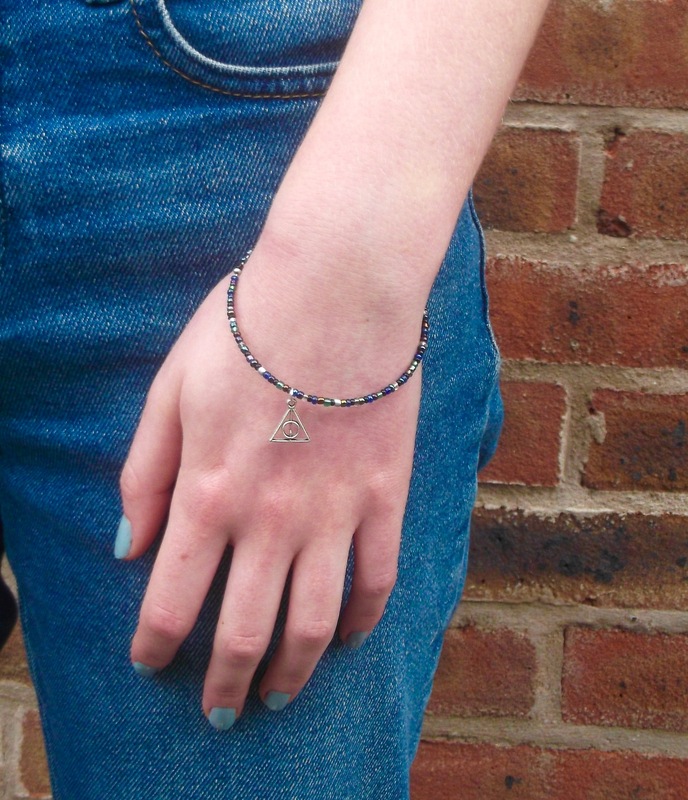 The deathly hallows bangle just looks magical, and is perfect for any Potterhead! 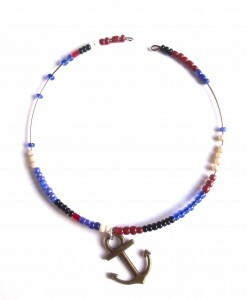 Each bangle is handmade in Liverpool. 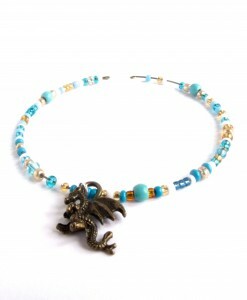 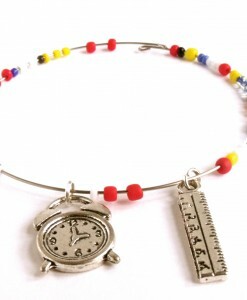 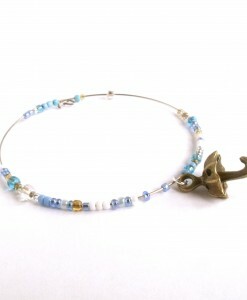 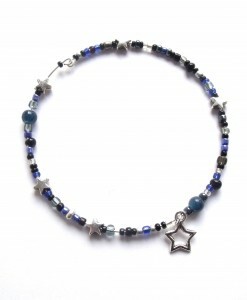 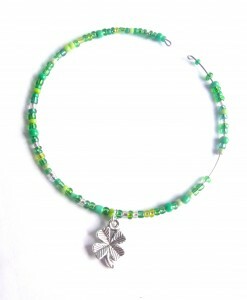 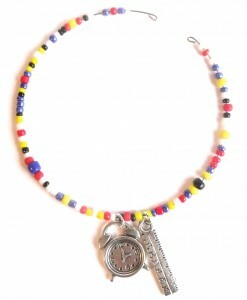 The bangle fastens with a silver plated clasp and made with memory wire. 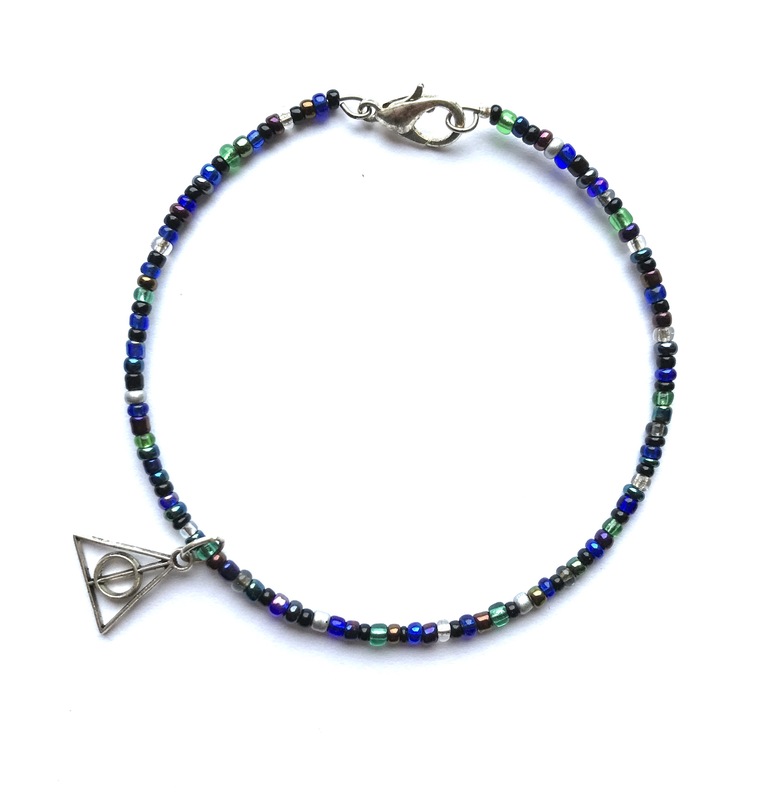 We’ve also got a fab deathly hallows symbol necklace too! 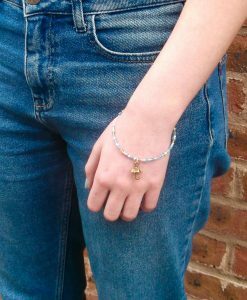 Inspired by Xenophilius Lovegood’s necklace, this handmade silver Deathly Hallow charm bracelet is a stunning piece for any fan. 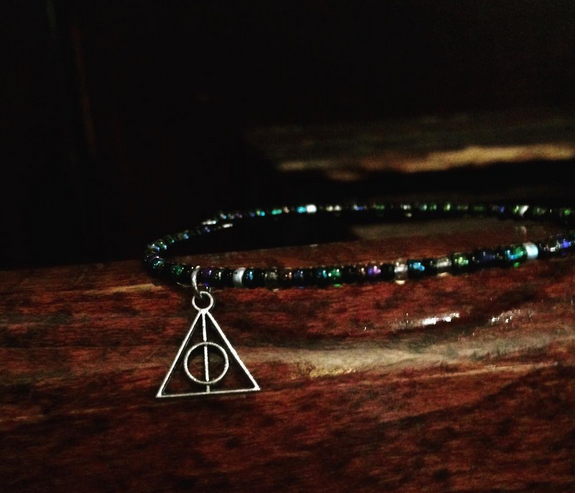 We love Harry Potter too much. 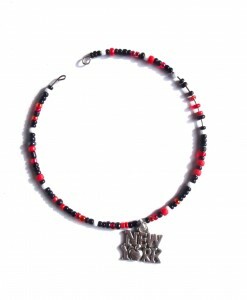 But hopefully you do too! 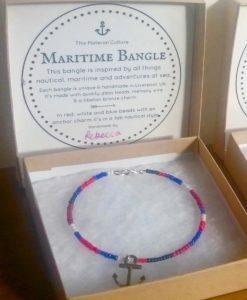 Each deathly hallow bangle is packaged in a This Material Culture gift box and it’s also signed by the maker! 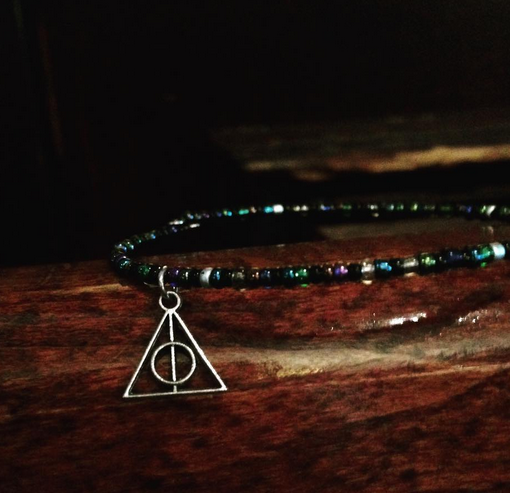 Our deathly hallows bangle is an amazing gift for any Harry Potter fan. 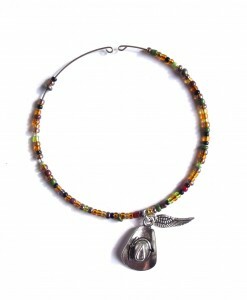 It’s beautiful, unique and a great way to show your love of the wonderful Harry Potter universe.